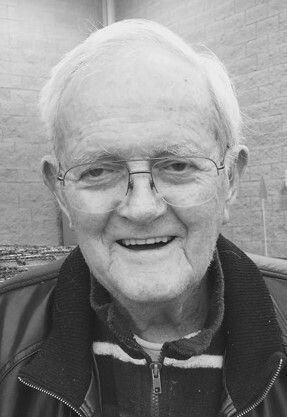 Arthur E Martin “Grampsy”, 92, of Sylvania, Ohio died June 20 at Flower Hospital after a brief illness. He was born in Marion, Ohio to Felty and Goldie (Bussey) Martin. As an Upper Sandusky High School graduate, Grampsy attended his 74th high school reunion in May and was one of six present. Grampsy entered the Navy following high school, where he was a quartermaster on the USS Caswell in the Pacific Ocean during WWII. Following his discharge from the Navy, he attended Bowling Green State University where he met and wed the love of his life, Nancy Diamond. They were married 64 years and enjoyed traveling, gardening and playing many “hands of bridge together” with friends. Grampsy loved meeting and getting to know new people and was able to do that throughout his career whether it was as owner of Service Window Cleaning Company for 30 years, as caretaker of condominiums in Perrysburg for 25 years and for the last twelve years at Kroger’s on King and Sylvania (retiring at the age of 91). Grampsy loved his “Kroger” family and was able to celebrate his 90th birthday with them. Grampsy will be remembered for always having a smile on his face, a positive and upbeat personality and his silly questions. He was a role model for his family and friends in living life to the fullest each and every day and will be dearly missed. A special thanks to Robin Weyer, who provided great care to Grampsy over the last twelve months.